We are a Husband and Wife team dedicated to providing you lovely event organisers, and brides/grooms-to-be, with the BEST quality products and service for your very special day! As recent newlyweds ourselves we understand the stresses of Wedding planning, and we aim to take all of this away in at least one big part of your planning! Having met on a Uni night out, we definitely love a good “knees-up”, and are delighted to contribute to ensuring every event we work on goes off with a bang – whether that be a Wedding, birthday party, Corporate event… or anything in between! We are proud to bring you only THE BEST quality light up letters – all lovingly hand created in the UK, our letters are substantial and sturdy mains-powered works of art. And, the same can be said for the rest of our portfolio of beautifulness!! You’ll speak to me when enquiring and planning your décor! I am over the moon to have found the perfect excuse for continuing my obsession with Weddings following our Wedding day in 2016! - I am passionate about keeping totally up to date in order to provide you with the most jaw-dropping and on trend Wedding décor possible! From my previous career in Sales & Marketing, I also understand the challenges of making a brand stand out from the crowd, and am delighted to offer businesses, small and large, a simple but VERY effective way to do this at your events! 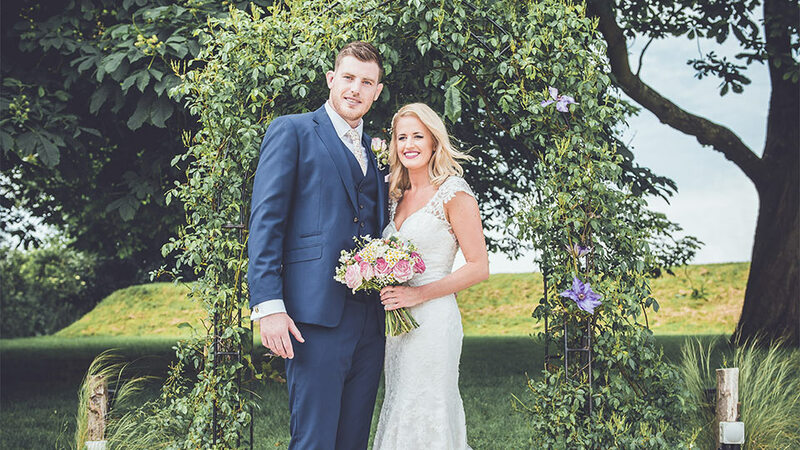 A Professional Rugby Player by day, and Wedding décor delivery extraordinaire … also by day… and night! Otherwise known as the “brawn” of the business! The honest Yorkshireman that bought Hannah (the Southerner) up North, Matt does all the behind-the-scenes work to ensure that the products we offer are kept pristine! He also helps with delivering/collecting the décor to your venues (when he is not travelling the country with his squad!). Our beautiful children Finley (3) and Paige (1) complete “Team Smith” – you may even catch them on our travels!